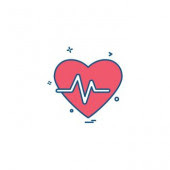 In our final episode in our heart rate variability (HRV) series, Matt, Curt, and Jerry examine the connecting between HRV, self-regulation, and psychosocial well-being. We also reflect on the entire series and crucial lessons learned about trauma’s impact on critical biomarkers. Is HRV the next major step forward in education, psychology, and medicine? What are the key points you’ve learned in our examination on HRV? Have our discussions convinced you to track your own HRV? How do you see HRV impacting the future of education, psychology, and medicine?